Hire the Rhino Deck Platform, Fall Prevention System per Sq Mtr from Jackson & Gocher. Find out more about rhino deck installation and fall prevention systems by contacting us today. If you would like to learn more about rhino deck installation, call us today on: 01483 527000 or scroll down to read more. Here at Jackson & Gocher Hire Centre, the rhino load decking is very popular, thanks to its strength, ease of installation and flexibility. Our rhino load deck, fall prevention system is driving health and safety in the house building and construction market. 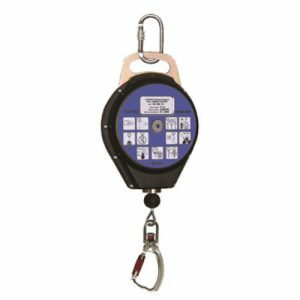 The fall prevention system is built specifically for working at a height in a safe way. 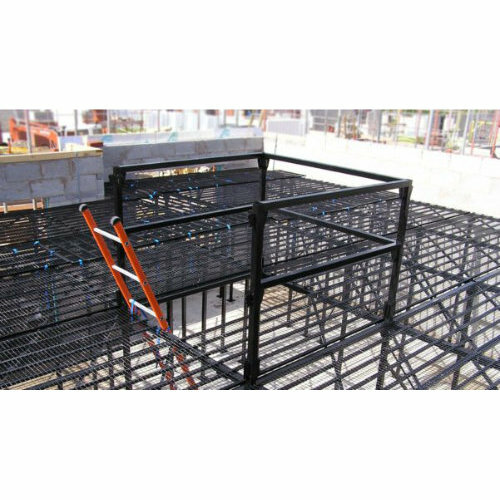 The platform is covered in a fine but strong mesh that allows builders to work on top of the structure and hold tools and building materials, making it easier to carry out each job. Installing Rhino Safety decking is much quicker to install than other types of scaffolding systems. The Rhino Decking System is self assembling and requires no additional tools or fixings to create the structure. This makes for a very quick and easy assembly. The height of the decking system ranges from 0.5m to 4m meaning for platforms over 2m there is more than enough room to walk under the decking system, so much so, you can manoeuvre a pallet under theplatform . Thanks to the interlocking system, you can easily move the entire decking system to another spot within the build site, quickly and easily. Making for increased productivity. The rhino decking system is made from steel and includes feet to ensure that the entire system is strong enough to stand on its own, without being attached to a wall or other fixture. The quick assembly and flexibility in moving the system, means the rhino fall prevention load decking system is extremely time efficient, helping buildings to go up quicker. Rhino decking is made from lightweight, strong but inexpensive materials. And due to the ease of assembly, it is very cheap and affordable to hire from us. Our charges start from £6 +VAT/sq meter/week. Or; £7 +VAT/sq meter/week with the handrail. Installing the rhino load decking, fall prevention system couldn’t be simpler. The system has been designed specifically for a two man job. The rate of installations is 50m2 per hour with a two man team. Meaning the teams overall productivity is increased, thanks to a reduction in time being spent on the erection of scaffolding. How does the rhino decking system work? The rhino decking system simply interlocks into place. 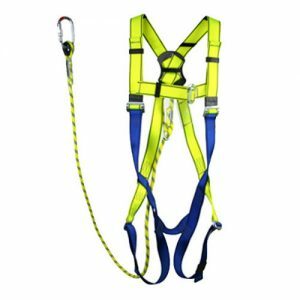 The lightweight structure is strong enough to withstand heavy loads, and is light enough to quickly erect and lock into place for added stability. Rhino deck is highly versatile, it’s a 3-in-1 solution when it comes to access, loading and working. The rhino load deck system can support loads rated up to 600kg per square metre at a 3 metre platform height. 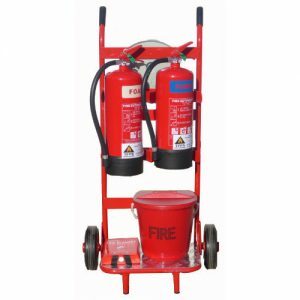 They can be installed quickly and easily, allowing for safer working heights of up to 4 metres. Lightweight components lock into place without the requirement for tools or fixings and the materials used to minimise weight without compromising strength and durability. Rhino deck is unaffected by the weather, no matter how extreme, it’s compact and makes it easy to transport and store onsite. The systems not only provide a safe working platform, they allow operatives to load the platform with the necessary tools and materials for efficient task expediency. Offering you a load capacity of 600kg/sqm provides your site operatives with more than adequate load requirements whilst allowing all site trades to utilise the platform. The rhino load deck systems we provide have been fully tested to test procedures which have been set out by the British Standards Institute and wholly complies with the standards set. What is the load weight of Rhino decking? The load weight of the rhino decking fall prevention system is 600kg per sqm.for platform heights up to 3 metres. How does safety decking hire work? Rhino Safety decking hire works on a per square meter, and per week basis from Jackson & Gocher Hire Centre. We have a charge per square meter, per week, with a minimum 1 week hire period. . In certain parts of the South East we can offer an optional installation charge of £25 / person / hour (usually requires 2 people). Do you manufacturer the rhino decking? No. The Rhino Deck is manufactured by SAYFA Systems and we work in partnership with the main UK distributer. Rhino decking can be installed by two men, quickly and easily. The structure comes ready to erect and simply locks together to form the structure. All required elements will be provided. Is training available for installing rhino decking? Yes. We offer training on how to erect and install rhino load decking to help your team get to work.